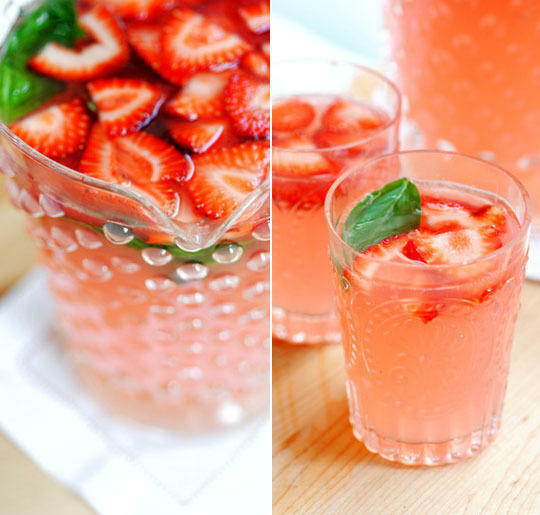 I've made lots of pitcher drink recipes over the years, but one of the simplest, and one of the best loved, is my strawberry basil margaritas. 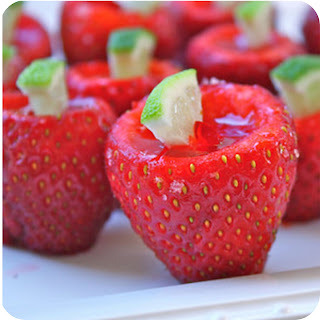 In fact, they've become so popular that if I have a party and don't make some, one of my friends is sure to ask, "hey, did you make those strawberry basil margaritas?" So I always have a pitcher on hand, because it's important to keep your guests happy. And did I mention how easy they are to make? We went strawberry picking again, and had another 10 lbs. of berries to use. 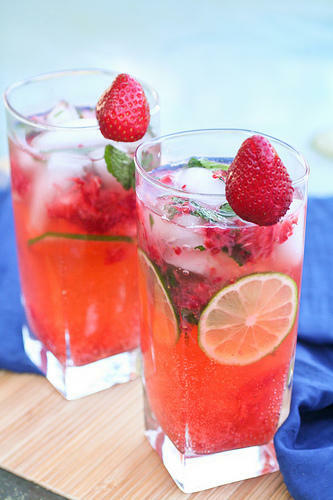 I started making strawberry mojitos that night, and was addicted to them for a short while. I made non-acoholic versions and drank them with breakfast. This drink was especially refreshing since the weather has been in the mid to high 80's. Hollowed out strawberries work as a vehicle for a Jell-0 concoction of strawberry gelatin, tequila and a touch of Grand Marnier. 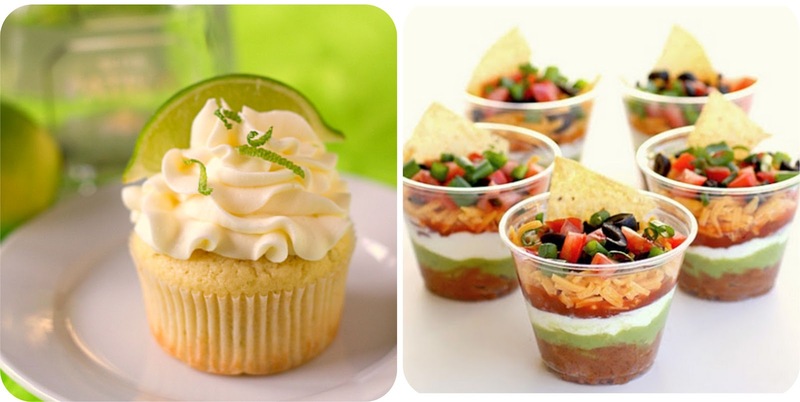 Garnished with cute little wedges of lime these little shots are absolutely adorable!